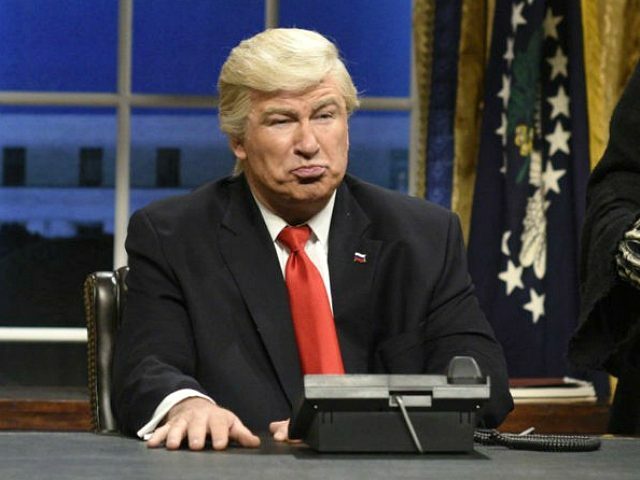 Actor and professional Trump impersonator Alec Baldwin suggested the need for a wall to keep out President Trump. “What wall will keep Trump out ?” Alec Baldwin asked in a Tweet on Tuesday. What wall will keep Trump out ? Last month, Baldwin took to Twitter to declare that Trump’s presidency was a punishment for America’s historical sins. “Trump is a curse, brought down on us as punishment 4 our sins. The slaughter of Native Americans, slavery, Japanese internment, Vietnam. Every hateful, misogynistic, racist notion, intertwined w our better nature, Trump embodies those. He is us. Now we can face it + exorcise it,” the 60-year-old said. The frequent SNL star joins many of his fellow Hollywood stars in his opposition to funding for border security. The federal government has been in a partial shutdown for over three weeks due to Democrats’ refusal to pass spending that includes funding for President Trump’s promised wall along the U.S.-Mexico border. I may not always agree with him, but I have to admit that nobody slurs his lies better than Trump.